I took this image at the in-laws home as well as the one from yesterday. 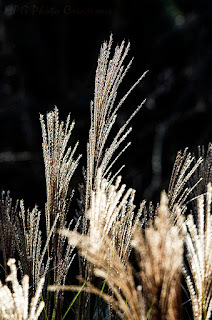 They have a row of ornamental grasses that catch the late afternoon sun. I took this shot of a few heads of their Pampas Grass that seemed to be glowing in the light.